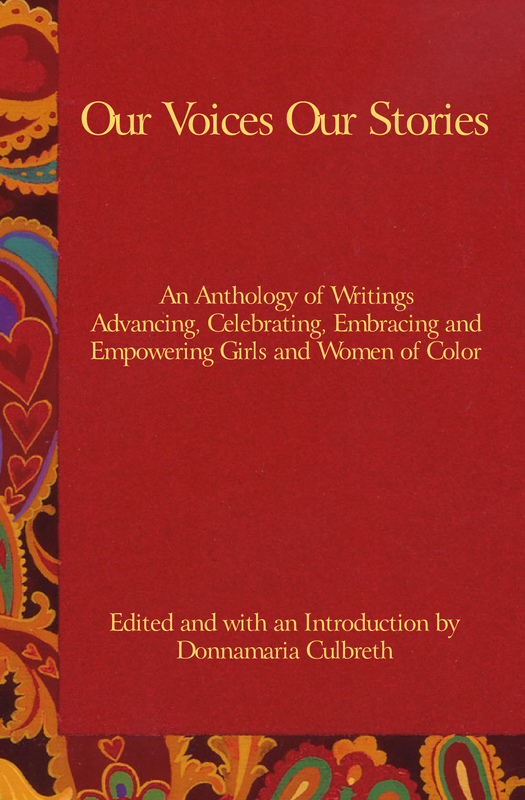 Topics include women of color and quality healthcare, preventative care, pain and medication, understanding and questioning diagnoses, asking questions, second opinions, knowledge, research, trusting doctors, on being heard loud and clear, the importance of using your voice, childbirth, mortality rates, surgical procedures, racism, colorism and disparate treatment in the healthcare industry. Additional topics include strategies to empower women of color to take control of their health and make informed decisions. Dr. Huggins is an Assistant Professor of Social Work at the University of Southern Indiana where she has taught for three years. She holds a Masters of Social Work from the University of Georgia and a Ph.D. in Social Work from Clark Atlanta University. She holds social work licensure in Georgia and Indiana and has experience working in both micro and macro level capacities. Dr. Wells is an Assistant Professor and member of Health Services for the College of Nursing and Health Professions at the University of Southern Indiana in Evansville, Indiana and has taught for nine years. She obtained her Doctorate of Health Education (D. H. Ed.) from A. T. Still University school of Health Sciences in Kirksville, Missouri. In addition, she is a certified Health Education Specialist (CHES). 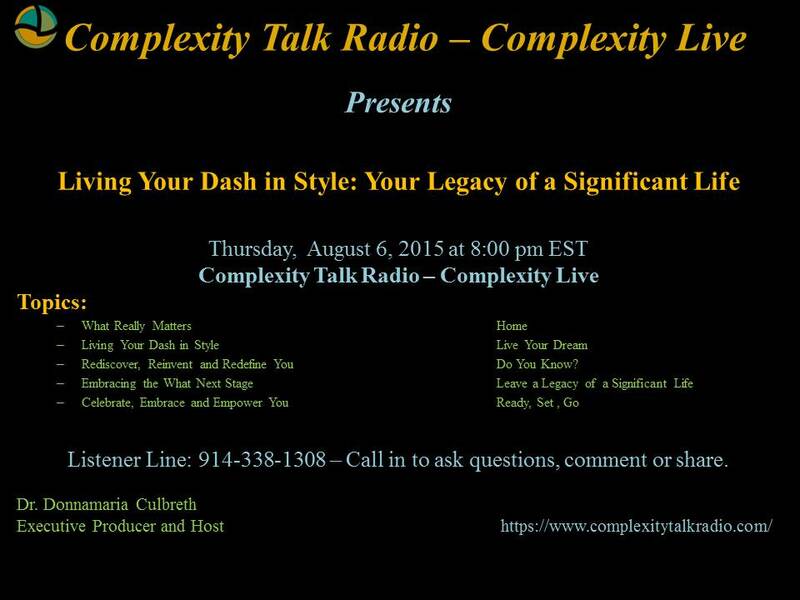 Join Dr. Culbreth for Living Your Dash in Style: Your Legacy of a Significant Life. The topics will focus on living life to its fullest, pursing your dreams, rediscovering, reinventing and redefining you as you travel on your journey to the what next stage in life. Food for thought: Are you living a fulfilling life – one that will note your dash as extraordinary and significant? Are you happy? Do you know where you are going to? Define Yourself For Yourself & Keep Rising To The Top! 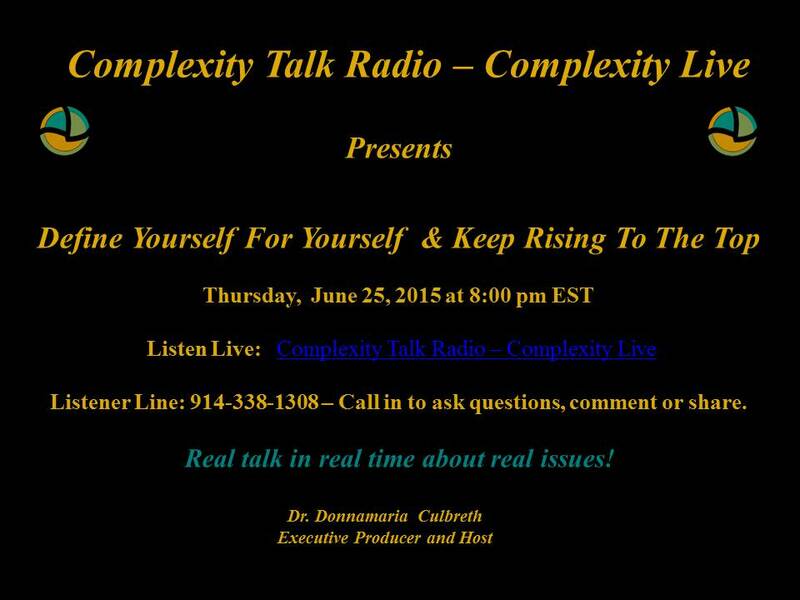 Join Dr. Culbreth on Thursday, June 25, 2015 on Complexity Talk Radio for three thought-provoking segments. Meet two extraordinary women in business, Ms. Myra Rowan and Ms. Kristen Johnson, owners of Fly High With Me. Learn how to be successful and make extra income and/or design your dream vacation package. Define Yourself for Yourself and Keep Rising to the Top. Join Dr. Culbreth for an intriguing segment on defining who you are.